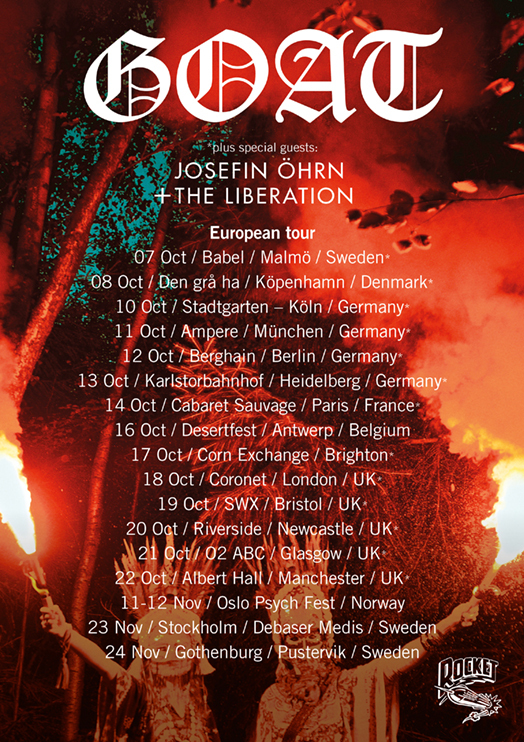 ‘Rushing Through My Mind’ is Josefin Öhrn + The Liberation’s 1st official single from their new album ‘Mirage’ which is released on 14 October. After an amazing 2015 with the release of the bands debut album ‘Horse Dance’, 2016 see’s even greater forays into seductive splendour, winning them new fans like 6 Music’s Lauren Laverne. With its Can like warm mellifluous bassline opening, ‘Rushing Through My Mind’ envelops the listener in sweet pop suss, melodic ornamentation evolving like a enchanting shoegazed Stereolab, sculpting hypnotic jams into an elegant nocturnal serenade. As if we can imagine Scott Walker’s Night Flights tradition of avant-pop, quivers with a coastal pulsating Horror’s like groove, slowly segues into the final movement of tremolo fuzzed guitar, the tracks gentle Eno melody buries itself deep into the listeners collective subconscious. Both foot tapping and dream like, ‘Rushing Through My Minds’ round the vertical and horizontal into a single entity. 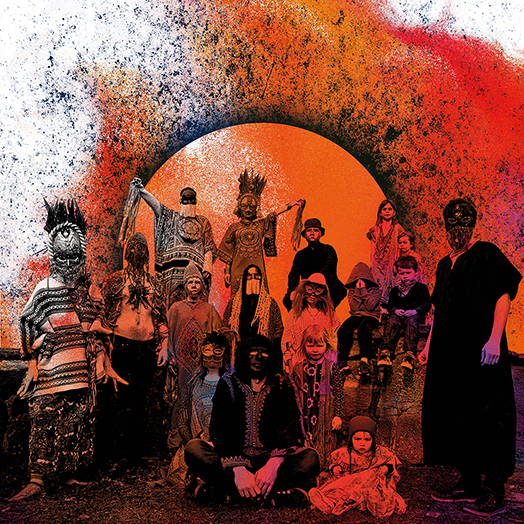 Goat are celebrating the launch of their new album by heading out on a European tour next Friday – and due to the Brighton show selling out it has now moved to the bigger Corn Exchange. 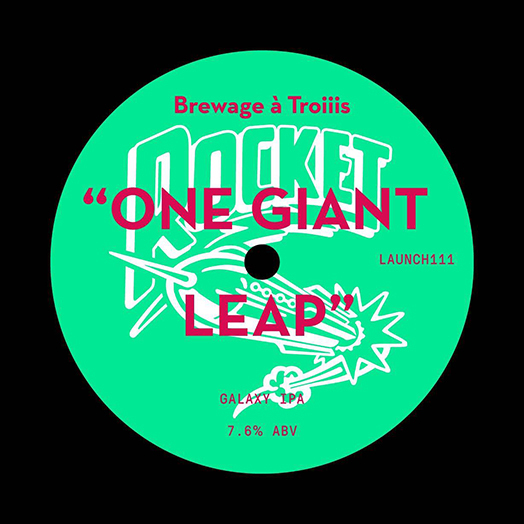 Nice mention about the Rocket Ale plus Gnoomes and Josefin Öhrn + The Liberation. 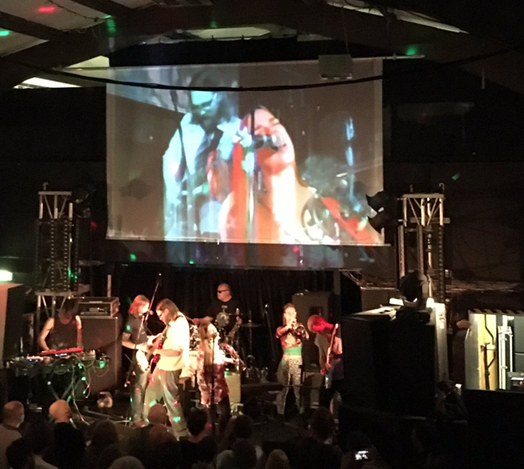 Having just about recovered from this year’s mind-altering festival, Getintothis’ Paul Higham offers the final verdict on Liverpool Psych Fest 2016. 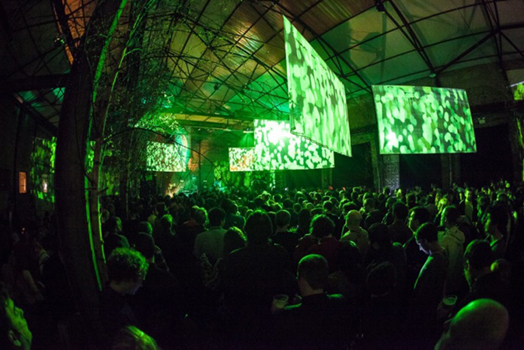 So the dust has finally settled on yet another Liverpool Psych Fest, the fifth and perhaps the best yet. We’re not quite sure if we’ve quite managed to digest all that happened over a momentous day and a half (was it really that brief). A few might have recovered physically, although for some a week is not nearly long enough with eyelids still being forced open against their will as the drudgery of the return to real life becomes clear. The mental effects will take longer to subside. Perhaps they never will go away. 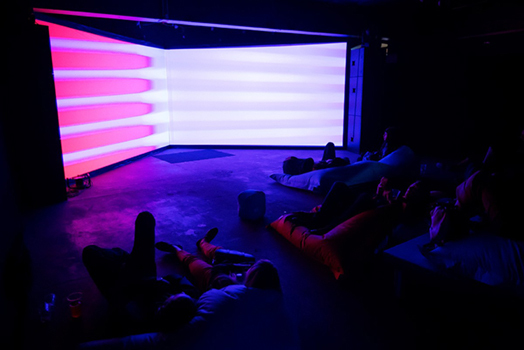 A heightening of the senses, a feeling of expansive escapism and an ability to see the world in glorious technicolour rather than the bleak strait-jacket of black and white conformity. Exploratory Salford band GNOD have teamed up with techno producer Surgeon to produce the two track Behind The Lids release, which is out today on Tesla Tapes. All proceeds from the release will go to Islington Mill's roof repair fund. The Mill is the Victorian industrial building in Salford where the band (and many other artists from various disciplines) live and work. Islington Mill is the site of a great deal of fantastic music and art events, and one of tQ's favourite UK venues, as well as having an excellent, fully functioning B&B but over in the block where the residents live, the roof is compromised and during Manchester's recent torrential storms, water was flowing down the walls. Watch this space for more on GNOD, their upcoming tenth birthday and Islington Mill over the coming year. Goat make music as inscruitable and enchanting as themselves. 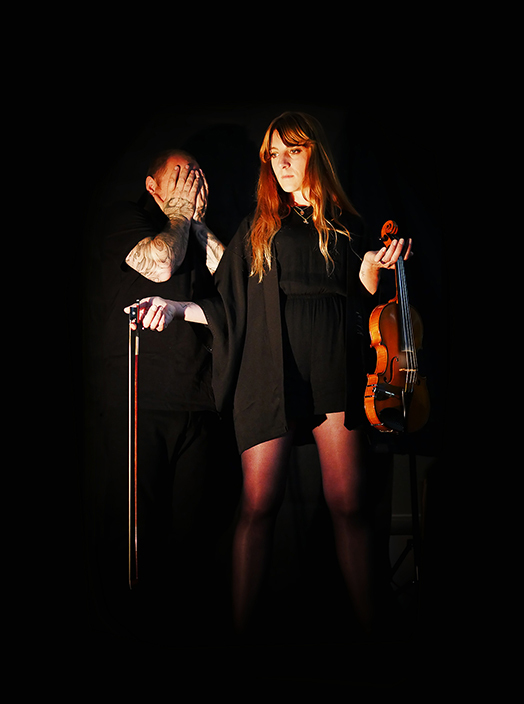 To listen to the music of monastic psych-voyagers Goat is to play the part of a detective. Theirs is a stateless, nomadic sound, barely a stampless space on a fully filled passport. Their knotted blend of East and West, African djembe with Funkadelic freakouts, immediately begs questions of origin. The question, when asked, has been answered with layers of myth and misinformation: they claim to be from Korpilombolo in Northern Sweden, although they may spell the name incorrectly on their website. 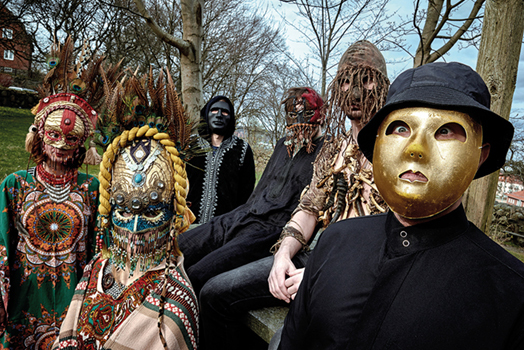 The pulsating, trancelike nature of their music comes under the influence of a voodoo tradition, which inspires too their masks an clothing; although this seems equally unlikely given Northern Sweden’s proximity to Haiti. Who hasn’t woken up, feeling dirty and poisoned from five years of Afro-Voodoo lysergic rock feeling compelled to use their road honed skills and newly forged spiritual clarity, to celebrate the cosmos in its multiplicity? 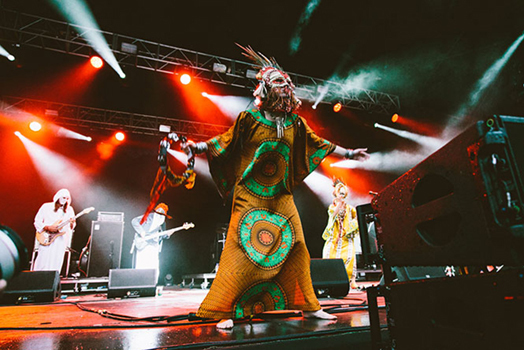 Swedish freak royalty Goat joyously release their third LP, encompassing primal screams, Asian spirituality, First Nation tribalism and most evidently, African blues. SB: Firstly, congratulations on the wonderful new album ‘Requiem’. What at first seems like a more restrained musical vision, is really a giant leap forwards in showcasing the collective talents of the band. It seems less dense, more free, better delineated. Fair comment? Thank you, I´m very happy you like it and hear these developments in the music. We feel that this is by far our best album. 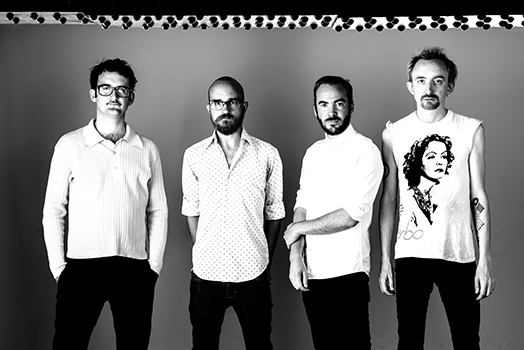 SB: When I saw you at the Metro Theatre in Sydney last year, the music conveyed an energy I haven’t experienced since the peaks of rave culture, managed with most of the band not even moving an inch. The dance movements of the astonishing female vocalists however reminded me of a dragon boat in a Chinese New Year procession ! The crowd went nuts. I know I did. Is this a universal response across the world? SB: Requiem is like a modern opus in two parts, the folk-like aspirations of the first six tracks giving way to the more typical abandonment of ‘Goatband’ and beyond ? 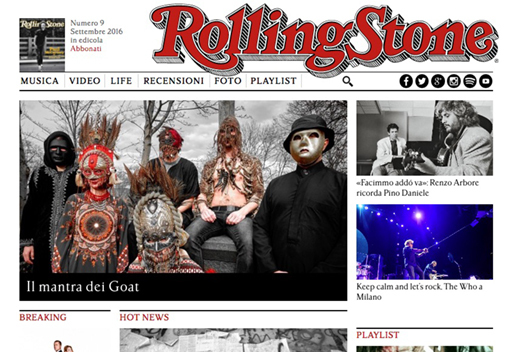 That transition into ‘Goatband’ is beautifully judged ! 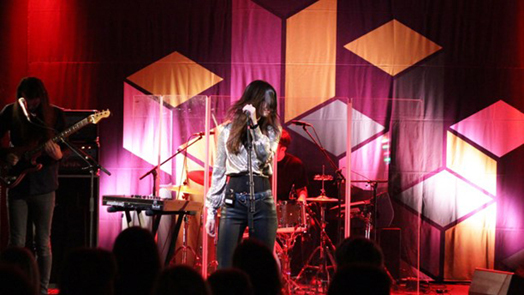 The State (I'm In) / Josefin Öhrn + The Liberation from Bido Lito! on Vimeo. 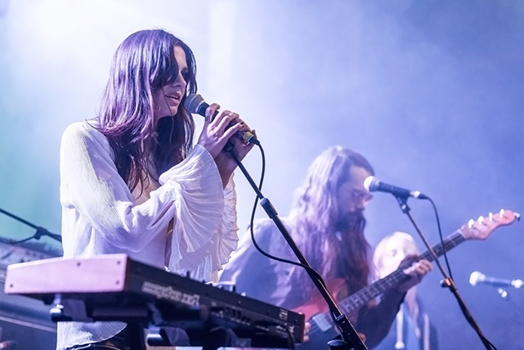 Josefin Öhrn and the Liberation put in one of the performances of the festival bringing tracks from her 2015 debut Horse Dance and forthcoming LP Mirage. The Stockholm-based singer, backed by tight-knit four piece band, although still very early in her musical career already feels like the real deal. Her sound is so well refined and absolutely mesmerising live. Tracks such as Take Me Beyond, Rainbow Lollipop and In Madrid combine driving krautrock drum beats with sharp electronics, soaring synth and chiming guitars to create a wall of sound. It’s incredibly dynamic, and matched with an impressive light show makes for brilliant viewing. Gnoomes brought the gorgeous, dreamy sounds of their Repetitions EP. 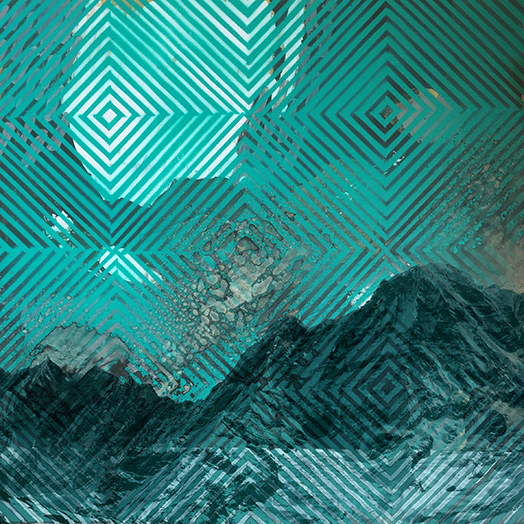 Sweeping soundscapes weaved between loose guitars and ethereal vocals to make a really quite hypnotic sound. Their songs seem to have this ability to put you in a trance like state while you’re listening, but to be honest, that might have had something to do with the ale. Bonkers psychedelic contingent Flowers Must Die had everything. They were trippy, they were folky, they were noodly. 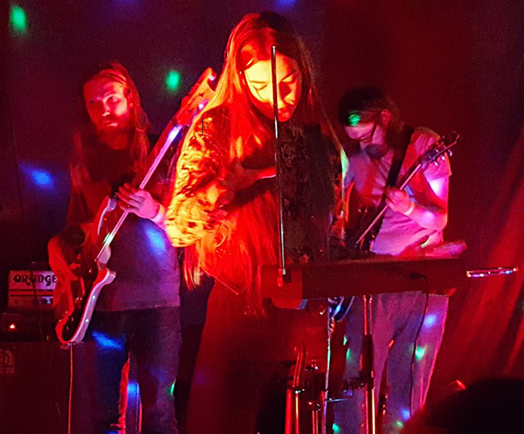 Their set also marked one of the first Psych Fest run-outs we witnessed for that classically psychedelic instrument the Theremin. So bless them for gracing us with their bizarre, unctuous sci-fi material as imagined through the dubby filter of mystic, motorik basslines. An album title like 'Requiem', you could infer that Goat announces his swansong, but that is reckoned worth. 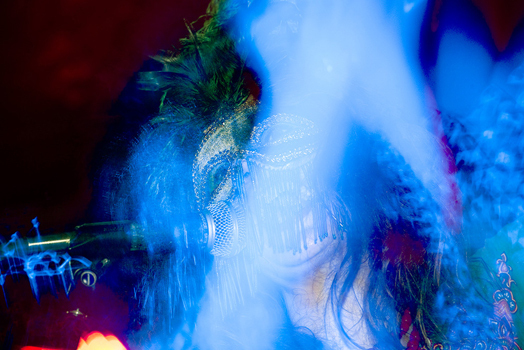 The Swedish rock group, which is always masked on the stage, now once something pompous statements. The band previously released two albums, namely "World Music" and "Commune". The latter record refers to the roots of the band - the group grew in his own words, after all, in a commune in the exotic Korpibompolo - but beckons in this way also to the connection between musician and music fan. 'Requiem' is Goats folk album. Folk, such as in the original sense: popular (re) music. Also: party music. Because just as the group is known for, as evidenced by the shows. Big Naturals have announced a rare London show playing at Cosmic Carnage at the Brixton Windmill on 28 October. Flowers Must Die were absolutely exceptional on the small District stage delivering probably the most ‘evolving’ performance of improvised music of the two days. Beginning with a jazz infused cacophony and gradually building the intensity to an amazing high tempo repetitive conclusion, they absolutely smashed it on the District stage. Rocket recordings is, by any stretch of the imagination, one of the most vibrant record labels around, championing a pulsating roster of international acts that might broadly be categorised as psychedelic but more accurately exploring the experimental and avant-garde. Full marks then to Baba Yaga’s Hut then for getting half a dozen label-affiliated acts in one place – that place being the promoter’s main “tied house” the no-frills Corsica Studio in the Elephant and Castle, London. It also says much for the label that they could at any other time plucked another half a dozen names from their little red book and served up at least an equally strong line-up. 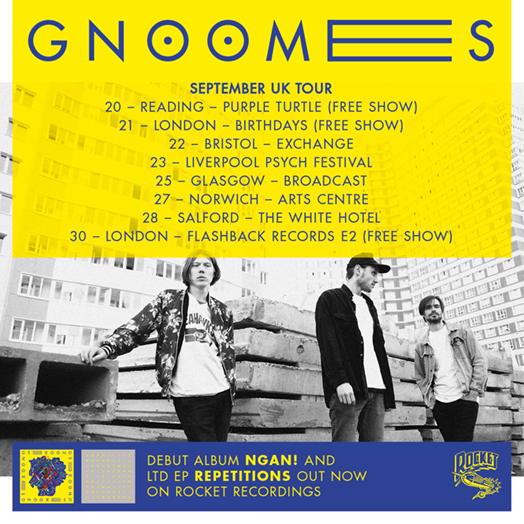 Gnoomes tour is continuing this week with three great shows and here is the poster for their one at Salford White Horse on Wednesday. Don't miss them as they have been amazing so far!! 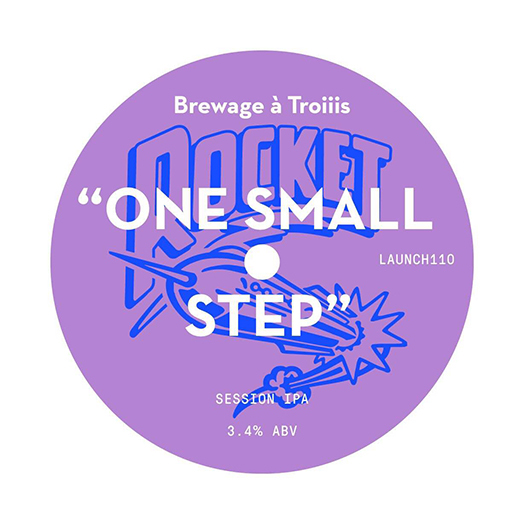 We are excited to announce 2 new Rocket Intergalactic Pale Ales brewed by Brewage à Trois available at this weekends Liverpool Psych Fest. We look forward to drinking it with you!!! Stockholm's Josefin and her Liberation collective are one of a number of Rocket Recordings' artists heading to Psych Fest. Having produced one of the stand out albums of 2015 with her debut album Horse Dance, she's back with the outrageously fine new epic In Madrid / Rainbow Lollipop. One certainly not to miss. 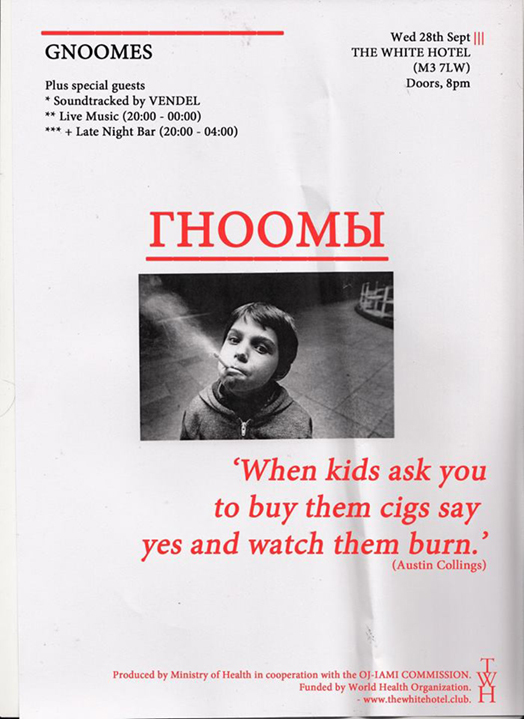 Moscow's Gnoomes specialise in trance-like rock & roll which has the West Coast flair of the Byrds but reimagines their sound through layer upon layer of fuzzy, cyclical grooves. Could provide one of Psych Fest 2016's best sets. "I can not tell you my name," was the answer to the first question in this telephone interview, that when it comes to a band usually is: "Hello, who am I speaking?" Well, I talk to the Goat, and, as will be explained below the interviewee, you need not specify the identity. 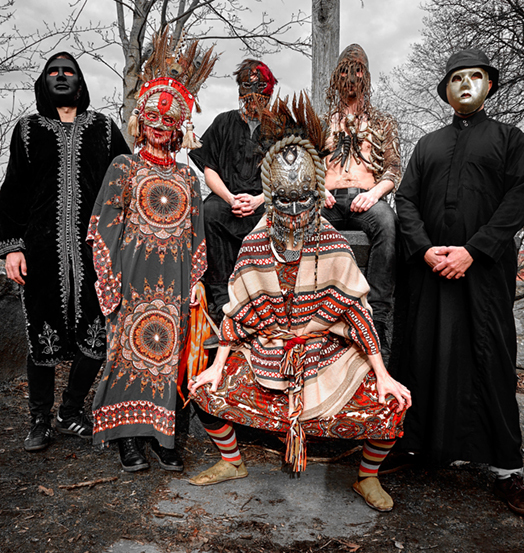 Goat is whole, a group of boys in the far north of Sweden-Korpilombolo, a village that seems to have a history of voodoo communities, which would explain the glaring masks with which they perform-that suddenly found themselves in a room to play. KURO have annouced that they are to play Supersonic Launch Party. The official launch party on 4th and 5th November in the intimate surroundings of the Centrala Gallery space in Birmingham to celebrate the return of Supersonic Festival. This will be the first of many Supersonic / Milque and Muhle collaborations, a explosive spectacular celebration of music and fun. Showcasing some of the finest acts around and bringing more eclectic artists to Birmingham. This is a super limited capacity show so advanced tickets are advised. Of course it wouldn't be a Supersonic event without plenty of cake and samosas. Hailing from the city of Perm in the central (European) part of Russia, this energetic trio have been honing their motorik inspired dubgaze for the past couple of years, culminating in the excellent Ngan!, released in August of last year on Rocket Recordings. This marks their first ever visit to UK shores, and if the record is anything to go by, it promises to be a very memorable and momentous occasion. The band play Liverpool as part of their first ever UK tour, dates are above. TSH: How would you say the excellent latest record ‘Requiem’ ties in with the evolution of the band’s progression? Fluffan: Well by you saying “excellent”, I assume you like the album? So thank you, it means a lot to us. I think the whole album comes from a space and a place where we felt total creational freedom. How ‘Requiem’ ties in with the other albums, I really do not know. I think that it is partly up to the listener to delve into. I rarely think about the music once it’s done and in this case recorded. TSH: Like previous Goat works, the album offers more questions than answers – do you feel art should raise questions in general? Sweden. The country that gave us ABBA, Roxette and Ace of Base, now shunning pop and under an extraterrestrial spell, spawning all manner of psych-rock mutations. Word has it there was an arrival in the north of alien replicants pre-programmed to assimilate a myriad of influences, and tasked by higher powers to create an organic sound, out of seemingly unalike earthly origins. Scurrilous rumours! Don't they know of the legacy of the Swedish prog forefathers? Baby Grandmothers? Trad Gras och Stenar? International Harvester? Who, you say? Christ, I don't know, I live 30,000 kilometres away. Still, the legacy, whatever it is, has been taken up by some great young musicians. Music that fuses cultures and breaks down barriers. As if Gnoomes and Flowers Must Die wasn't enough, you now get Teeth of the Sea entertaining you between bands!!! And there are not many left! Flowers Must Die's debut release for Rocket, the EP called Sista Valsen is released today. You can buy it from all good record shops, however there has been a short delay at the manufacturers so it won't be in the shops until next week. 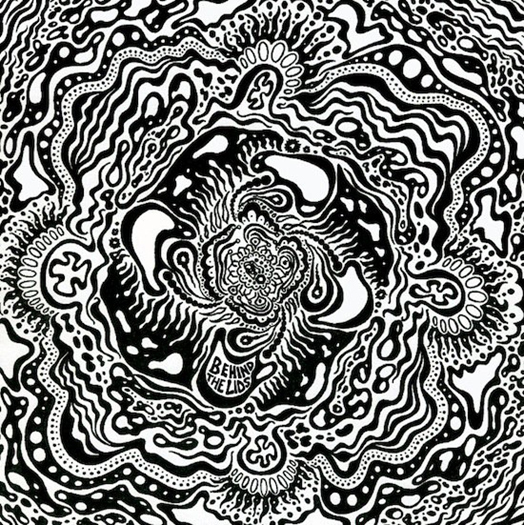 I don’t know what the Swedes put in their water but it is currently producing some of the most interesting and exceptionally creative sounds in psychedelic music. On the latest release by Swedish collective Flowers Must Die the group find a headier and more progressive sound, cementing themselves as one of the most interesting psych outfits around today.